Sails are believed to be 2009 and hardly used. The Claymore 30 is a fine example of a well designed and thought out Motor Sailer, and has a good reputation for her sea keeping abilities, reinforced by her ballast ratio of 40%. She has excellent headroom and spacious accommodation. 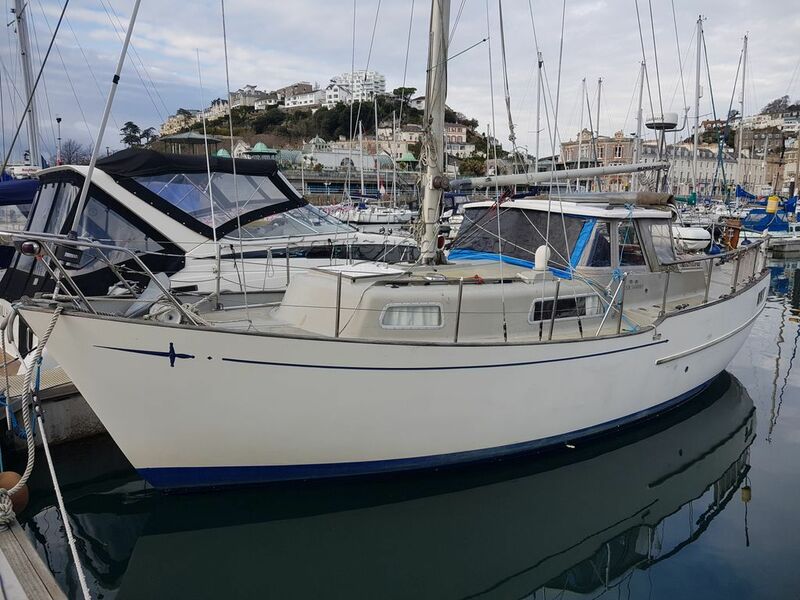 Benefiting from a 2008 Engine with low hours and excellent sails, has been taken out each year for the winter, makes her a great package ready to sail away. Safety at sea with a minimum of motion which is therefore less fatiguing on a long trip. cannot be emphasized strongly enough the advantages of a wheel house in our European waters"
This Claymore 30 has been personally photographed and viewed by Phil Key of Boatshed Torquay. Click here for contact details.